If you can’t be with the one you love, love a GOAT this Valentine’s Day. Join us for a special Valentine’s Day neighborhood happy hour truly like no other at this 2nd-ever Valentine’s Day goat extravaganza. One lucky Funcheaper will win a “V.I.G.” (“Very Important Goat” Valentine photo experience where you can cut the line and arrive anytime between 5:30 pm and 7:30 pm, you’ll get a group photo with the City Grazing goats, plus a complimentary drink for you and a guest, a limited edition goat pin and a fresh flower for the photo. Ewe’ll love it. Sorry! 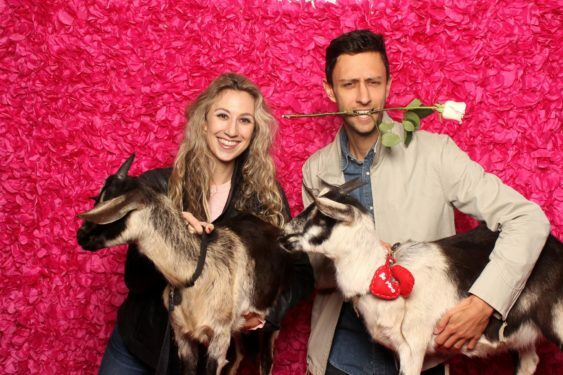 The contest for Valentine's Day Adorable Goat Party & Cuddly Photos | SF has ended.